Visit our FAQ page, call us at 1-877-237-5310 or email us at helps@staveatreuecards.com.at. Logica3 Ltd., 130 Washington St., West Dundee, IL 60118 | © 2019 Logica3 Ltd. All Rights Reserved. Note: If you are a new user, you will be prompted to create a login when you click “Save and continue” after completing Step 1. 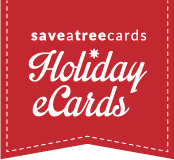 Browse and select an eCard to go to Step 1: Create Your Card. A card project requires a name for saving, retrieval and report tracking. You can add up to two graphics to your card. Many businesses like to include their logo, signatures of the team, or maybe a photo. What file size and file types can I upload? You can upload a JPG, GIF, or PNG file up to 786 KB. What dimensions should my images be? The image areas below your personal message are set to a maximum width of 550px. If your images are larger than this dimension, they will resize to fit the space. Suggestion: To avoid an image being smaller than you would like, be sure to crop any excess white space around the image. Cutting and pasting your message from Microsoft Word can cause unwanted characters to appear in your message. We recommend typing your message in the "Message" box or cutting and pasting from a program such as Notepad or TextEdit. Don’t use excessive punctuation or special characters (e.g., @#$!?) in the subject and message fields. Don’t use excessive capitalization in the subject and message fields. The subject line should have something to do with the body of the email (e.g., “Happy Holidays”). Avoid using red text in your message. Use the sender’s name rather than a generic name (e.g., Sales Department). If possible, do not use a free email account (e.g., Hotmail) for the “Sender” email address. Some email servers automatically reject emails sent from free email accounts to large recipient lists. The location input box allows formatting of your address to your requirements. You can format your address on one line to your preference, or you can place address items on separate lines and a "|" separator will be provided for you. Create user login if a new user. If at anytime you leave the site before completing your card, you will be able to access your card(s) by logging in with your email address and password. Upon logging in, click on the link to any of your saved cards and you will be brought to the step where you left off. Log in if a returning user.